PVC's major benefit is its compatibility with many different kinds of additives, making it a highly versatile polymer. PVC can be plasticised to make it flexible for use in flooring and medical products. Rigid PVC, also known as PVC-U (the U stands for "unplasticised") is used extensively in building applications such as window frames and cladding. Its compatibility with additives also allows for the possible addition of flame retardants although PVC is intrinsically fire retardant because of the presence of chlorine in the polymer matrix. PVC has excellent electrical insulation properties, making it ideal for cabling applications. Its good impact strength and weatherproof attributes make it ideal for construction products. PVC can be clear or coloured, rigid or flexible, formulation of the compound is key to PVC's "added value". Typical applications of PVC include; window frames, drainage pipe, water service pipe, medical devices, blood storage bags, cable and wire insulation, resilient flooring, roofing membranes, stationary, automotive interiors and seat coverings, fashion and footwear, packaging, cling film, credit cards, vinyl records, synthetic leather and other coated fabrics. PVC has been used extensively in a wide range of construction products for over half a century. PVC's strong, lightweight, durable and versatile characteristics make it ideal for window profiles. Unplasticised PVC is one of the stiffest polymers at normal ambient temperature and shows little deterioration after many years in service. PVC is versitile and can be used for different colours and effects, often being used as an alternative to traditional wood frames. The Building Research Establishment (BRE), the UK's leading authority on sustainable construction, has granted PVC-U windows a life-span of more than 35 years however, there are many examples of products lasting much longer than this. The latest BRE 'Green Guide to Specification', confirms that PVC is one of the best all-round framing materials currently on the market. PVC-U windows, in a domestic setting, score an "A" rating and in the commercial arena, an "A+" rating - the best there is! PVC-U windows are one of the best performing products on the market today. The British Fenestration Ratings Council (BFRC) also grades materials on their energy effiency, PVC-U frames - compared to the listed Aluminium and Timber options - score many 'A' ratings, marking their superior energy performance. Coupled together with the variety of colours available (from a variety of manufacturers), the inherant recyclability of PVC, minimal maintenance (regular cleaning required) and their ease of repair, should anything go wrong, PVC-U Windows offer great advantages over competing materials. Further information on PVC-U windows can be found via our Windows Group homepage, www.bpfwindowsgroup.co.uk. Other construction applications: door profiles, pipes and fittings, power, data and telecoms wiring and cables, cable and services ducting, internal and external cladding, conservatories and atria, roofing and ceiling systems and membranes, rainwater, flooring and wallcoverings. PVC has been used for hundreds of life-saving and healthcare products for almost 50 years being used in surgery, pharmaceuticals, drug delivery and medical packaging. 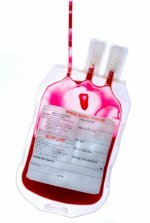 Flexible PVC is used to make blood storage bags, and in fact is the only material approved by the European Pharmacopoeia for this purpose. The nature of the material means that blood can be stored safely for longer. It's thanks to PVC's versatility and life-saving functions that it has become an essential product for the medical profession. Other examples of PVC healthcare products: "Artificial skin" in emergency burns treatment, blood and plasma transfusion sets, blood vessels for artificial kidneys, catheters, blood bags, containers for intravenous solution giving sets, container for urine continence and ostomy products, endotracheal tubing, feeding and pressure monitoring tubing, inhalation masks, surgical and examination gloves, shatter-proof bottles and jars, mattress and bedding covers and blister and dosage packs for pharmaceuticals and medicines. PVC was first used as cable insulation as a replacement for rubber during the Second World War, but has now become the superior material through its flexibility, ease of handling in installation and inherent flame retardation. PVC cables do not harden and crack over time and find use in many applications from telecommunications to electric blankets. Cable insulation is recyclable and is being recycled through Recovinyl. PVC brings both high performance qualities and important cost benefits to the automotive industry. Independent research by Mavel Consultants has shown that the typical cost of using alternative materials is in a range 20-100% higher per component. Automotive applications: Instrument panels and associated mouldings, interior door panels and pockets, sun visors, seat coverings, headlining, seals, mud flaps, underbody coating, floor coverings, exterior side moulding and protective strips and anti-stone damage protection. Over the past few years, over one hundred and forty two thousand square metres of PVC fabric has been used to create new sporting venues in London alone. In celebration of the role that PVC can play at sporting events, the BPF's Vinyls Group have produced a brochure & animated video highlighting the use of PVC products in the construction of sporting venues, as well as the diverse range of PVC product applications for performance sports surfaces, sports equipment and clothing. For over over ten years, the European PVC Industry has been working hard to embrace its responsibility to the challenge of sustainable development. The European PVC Industry's ten-year Voluntary Committment to Sustainable Development, know as Vinyl2010, made exceptional progress in waste management, recycling and the responsible use of additives. Following the conclusion of the Vinyl2010 ten year programme, new targets for sustainable development were launched as part of the successor VinylPlus programme. For more information, please visit www.vinylplus.eu. The structure and composition of PVC lends itself to being mechanically recycled, with reasonable ease, to produce good quality recycling material. As with most recycling streams, sorting is of the utmost importance to achieve optimal recycling of PVC materials. The Recofloor scheme, managed by Axion Consulting Ltd, provides a mechanism for waste vinyl flooring to be collected and recycled. The scheme accepts uplifted vinyl flooring and post-installation off-cuts. On behalf of the European Commission, and as part of a full review of PVC, PE Europe Consulting Group together with the University of Stuttgart undertook a Life Cycle Assessment of PVC and of Principal Competing Materials. The report, published June 2004, showed PVC products to be comparable to alternatives in their environmental impact. The report can be downloaded from the Europa website. Eco-profiles provide environmental analysis for a product from 'cradle-to-gate' (as opposed to the 'cradle-to-grave' approach of Life Cycle Assessment). Eco-profiles of PVC were updated in 2006 and can be downloaded from the PlasticsEurope Eco-profiles webpages. In 2011, the European Council of Vinyl Manufacturers (ECVM) commissioned an independent company to undertake a study on the Total Cost of Ownership (TCO) of PVC products. A Total Cost of Ownership study takes into account all costs associated with a product over its entire life cycle. The study focussed on three particular applications; windows, flooring and outdoor pipes, utilising data from Germany and Italy (judged to be a fair representation of conditions in north and south European countries). The study concluds that not only does PVC provide decisive cost advantages due to its low initial purchase price but also in its low cost of ownership throughout the life of the product.